2016 FORD MUSTANG Printer Friendly Flyer. 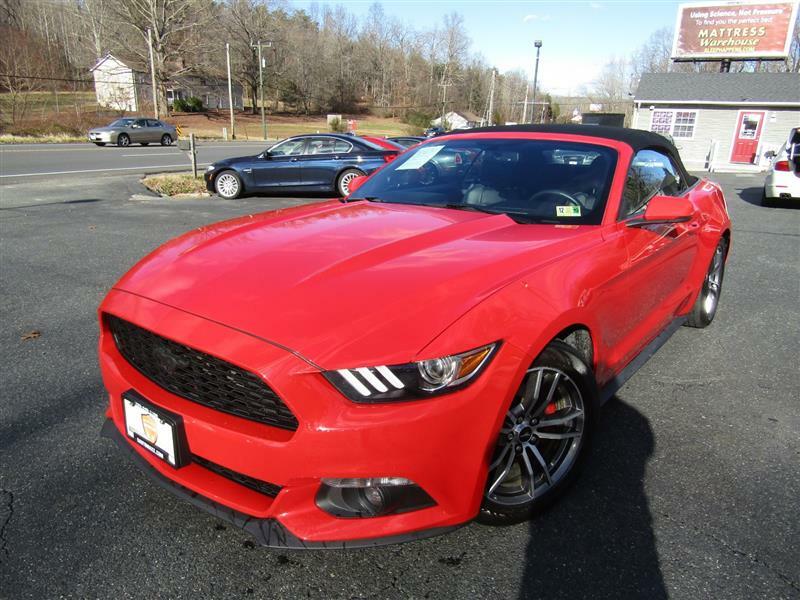 The 2016 Ford Mustang is available as a soft-top convertible, and comes in EcoBoost Premium trim level. The Mustang EcoBoost comes with heated exterior mirrors with horse lasers, a rear diffuser, ambient interior lighting, selectable drive modes, aluminum and chrome interior accents, dual-zone automatic climate control, heated and ventilated front seats, leather upholstery, a nine-speaker audio system, satellite radio, the Sync 3 infotainment system including an 8-inch touchscreen and enhanced voice controls,17-inch alloy wheels, automatic xenon headlights, LED taillights with sequential turn signals, a limited-slip rear differential, keyless ignition and entry, cruise control, air-conditioning, power front driver seat, a tilt-and-telescoping leather-wrapped steering wheel, an auto-dimming rearview mirror, a rearview camera, the Sync voice control system, Bluetooth, MyKey parental controls (including a speed limiter, a volume limiter and geofencing), Track Apps performance telemetry and a six-speaker sound system with a CD player and dual USB ports. The EcoBoost Premium trim steps up to a turbocharged 2.3-liter four-cylinder engine generating 310 hp and 320 lb-ft of torque.